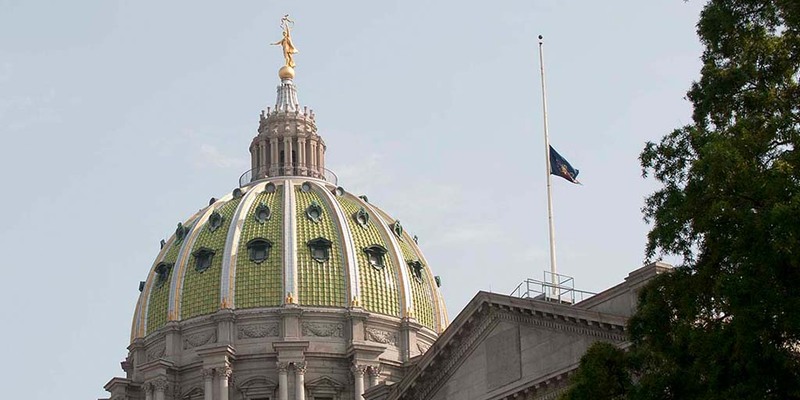 Harrisburg, PA – Governor Tom Wolf has ordered the Commonwealth flag to fly at half-staff at the Capitol Complex and at all Commonwealth facilities in Allegheny County to honor Robert E. “Bob” Colville. Bob Colville, 83, passed away on Tuesday, September 11, 2018. Colville’s distinguished career began in 1961 as a Pittsburgh police officer after serving as a Marine during the Korean War. He rose through the ranks to police chief before running for county district attorney and concluded his career as a Pennsylvania State Superior Court judge.